Why The DJI Spark is The Best Drone You Can Buy! 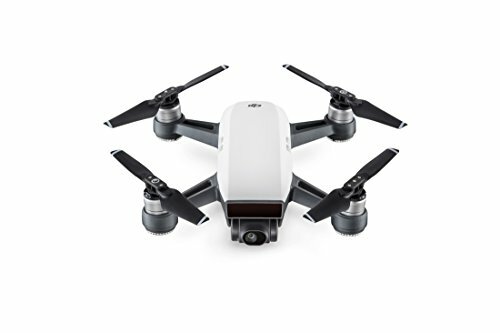 DJI the leading Drone manufacturer has just announced the DJI Spark. An ultra portable, inexpensive, and compared to todays standards is a totally underpowered drone. It's also the best drone you can buy. The DJI Spark is TINY compared to other drones. It has a flight time of only 16 minutes and records video at 1080P rather than todays 4k standard. Every cell phone that has come out in the past 2 years records video in 4k. So how is the DJI Spark the best drone you can buy?? Why are we taking more photos today than we ever have before? Our grandparents had cameras why weren't they taking as many photos as we are taking today? Convince. Because cell phones have become so small today everyone has a camera with them. The image quality from your cell phone is nowhere near as good as even the most basic point and shoot camera but they are so much more convenient than carrying around a dedicated camera that you can forgive a little quality for a ton of convince! The DJI Spark may not have 4k recording, it may have a short battery life, it may not have all the bells and whistles as most other drones but what it lacks in those areas it MORE than makes up for in convince. The DJI Spark is smaller than the phone in your pocket! The DJI Spark was designed be thrown in a backpack or purse and be controlled with just your hand. No large controller necessary. The DJI Spark is designed for fun rather than for film professionals. If you need the best image quality, flying speed, or max distance than the DJI Spark is not for you and you know that. The Spark is made for the person who wants to buy their first drone without having to take out a second mortgage. Drones can be tricky to fly and spending $1000-2000 on a toy that even if you're experienced has a high possibility of crashing or breaking does not seem wise. However a drone designed to be autonomous so you can take with you on vacation or out on a hike or kayaking and not have to worry about packing extra controllers and cables and accessories that would require its own case, all for just $500 is a great value. I have preordered mine on Amazon. But it will be more than just a toy. I will be using it at Weddings too. Delivering more to my clients to enhance their memory, experience, and wedding day. 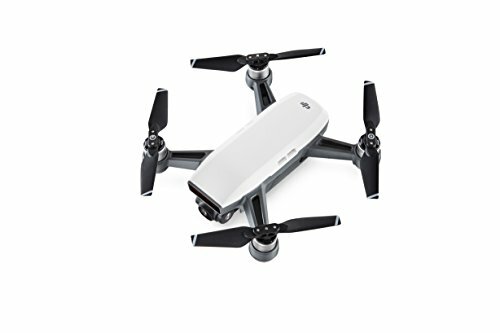 If you want to pick yourself up a DJI Spark I highly recommend buying it through our Amazon affiliate link below. Amazon will give us a little kick back which helps keep the podcast afloat! The "Fly More Combo" Comes with a physical remote control, an extra battery and props, as well as a carrying case.